Henry Frederick Jensen was born at Newtown, Sydney, on 12 July 1913, son of a carpenter Lawrence Francis Jensen who died at Gallipoli in 1915, and his wife Alicia Agnes, nee Cleary. He married Beryl, daughter of Ernest Allard, on 21 December 1935, and had four sons and three daughters. He died on 27 August 1998 at Randwick, aged 85. A funeral service was held at St Mary’s Catholic Church near his South Coogee home. Harry Jensen was educated at Gardiners Road Public School, Marist Brothers Darlinghurst, and St Josephs College, Hunters Hill. He was employed at Mark Foy’s and Singer Sewing Machine Co before being apprenticed to an electrical contractor. He worked as an electrician for Shell Oil Co, National Oil Co, at Cockatoo Island Dockyard, and later established his own electrical contracting business. He joined the Electrical Trades Union and became a union organiser from 1943 to 1944 and a delegate to the Trades and Labor Council. He was a co-founder and inaugural secretary of the first industrial group within the Australian Labor Party. Harry Jensen was known for his welfare and charity work, particularly the creation of the Senior Citizens Welfare Centres in the City and support for the Meals on Wheels service initiated by Lord Mayor Pat Hills. In 1958 he was Father of the Year. He was an official guest at the Tenth Anniversary of the State of Israel and in 1962 was the first recipient of the Brotherhood Award of the Jewish Theological Seminary of the United States for his public condemnation of anti-semitism. 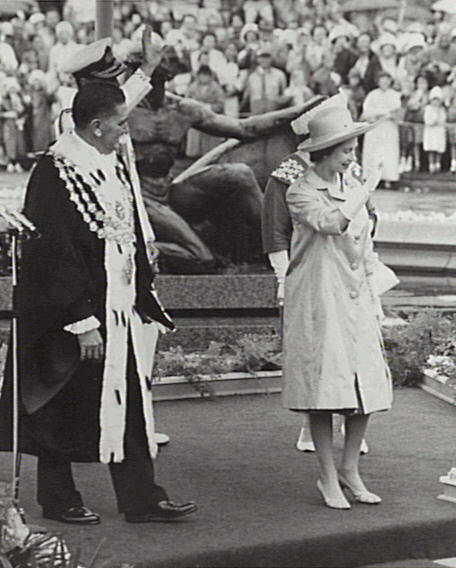 He established the Lord Mayor’s Relief Fund for victims of the HMAS Voyager disaster in 1964. In 1961 Jensen was narrowly defeated when he stood for the Federal seat of Bennelong and again in 1963 when he stood for East Sydney. Jensen was elected member of the NSW Legislative Assembly for Wyong, 1965-73 and for Munmorah, 1973-81. He was Acting Treasurer from 1976 to 1977. Jensen was the Minister for Local Government and Planning in the Wran Government in 1976 and Minister for Local Government and Minister for Roads from 1980 to 1981. He was obliged to retire from State Parliament on 28 August 1981 at the age of 68. Jensen was awarded a High Order in the Australian Honours List (AO). Jensen entered local government politics as Alderman of Randwick Municipal Council from 1950 to 1956. He became the Mayor of Randwick from 1954 to 1956. Harry Jensen was Alderman of Sydney Council from 1 December 1956 to 3 December 1965. 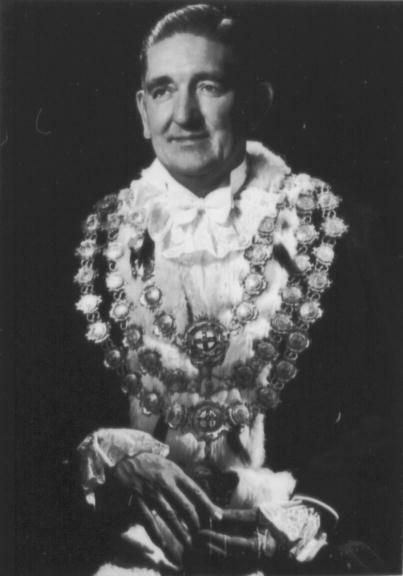 He is one of Sydney’s longest serving Lord Mayors, holding office from December 1957 to December 1965. He was an excellent orator and flamboyant personality known as ‘Headline Harry’ for his frequent press appearances. 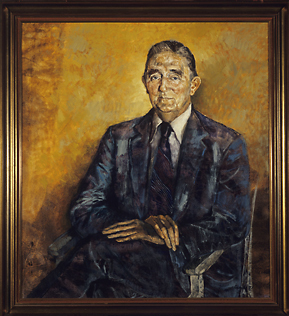 He was also the Chairman of the Sydney County Council, 1954–55.